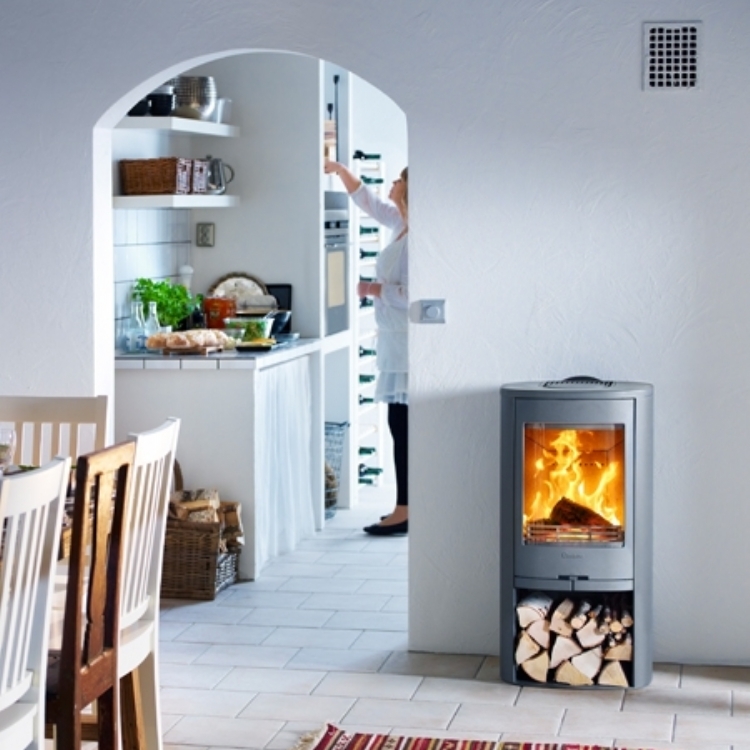 Contura 810 in black wood burning stove installation from Kernow Fires. 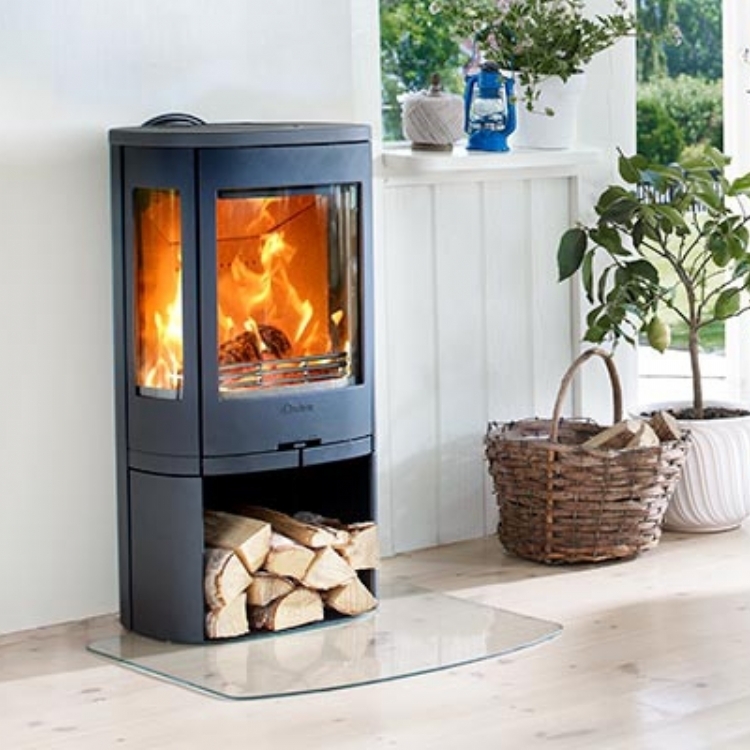 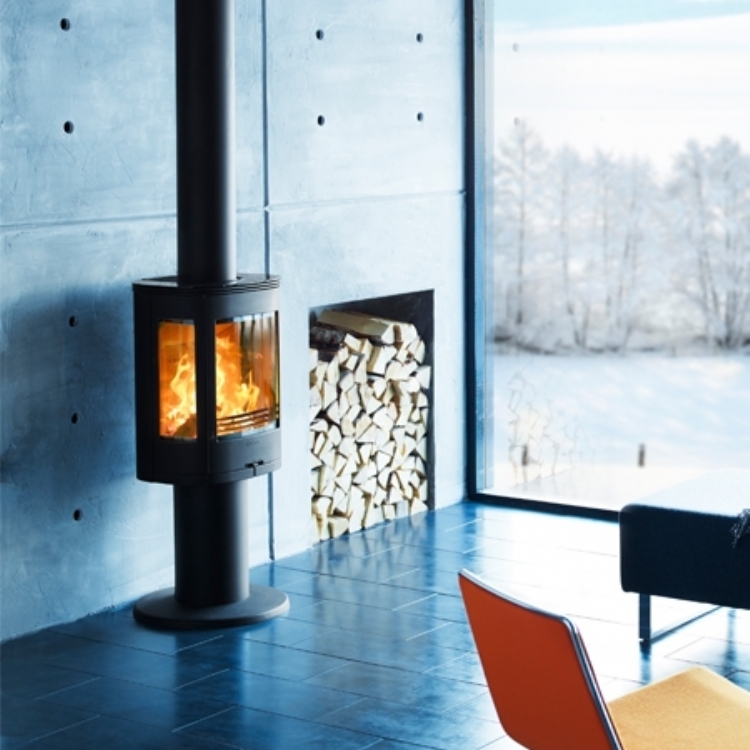 The Contura 810 is a very simple and effective stove which also comes with direct air which means the fire can operate as a sealed unit and there is no need for an air vent. 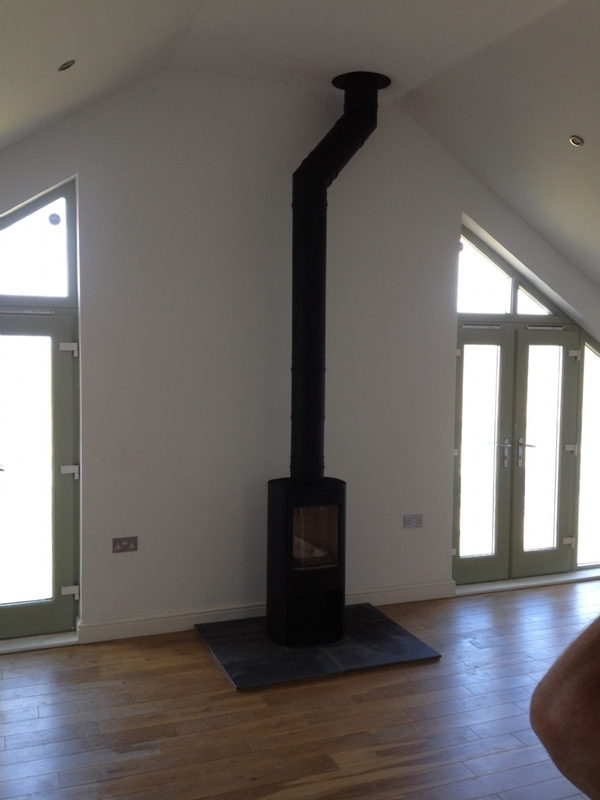 The tall flue had to bend to go around the lintel at the top of the apex.